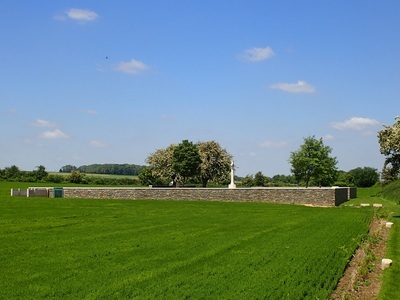 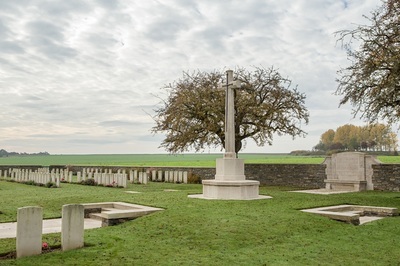 The village of Bailleul-sire-Bethoult is 8 kilometres north-east of Arras and the Cemetery is west of the village. Bailleul-Sire-Berthoult was occupied by the 2nd Division on 13 April 1917 and Albuera Cemetery was made in April-November 1917 by fighting units; the origin of its current name is not known and it was often called Bailleul Military Cemetery. 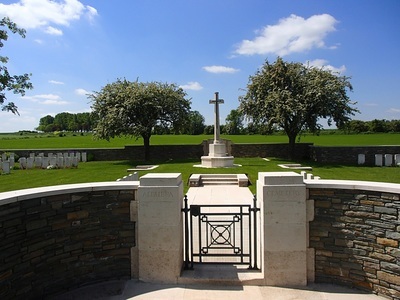 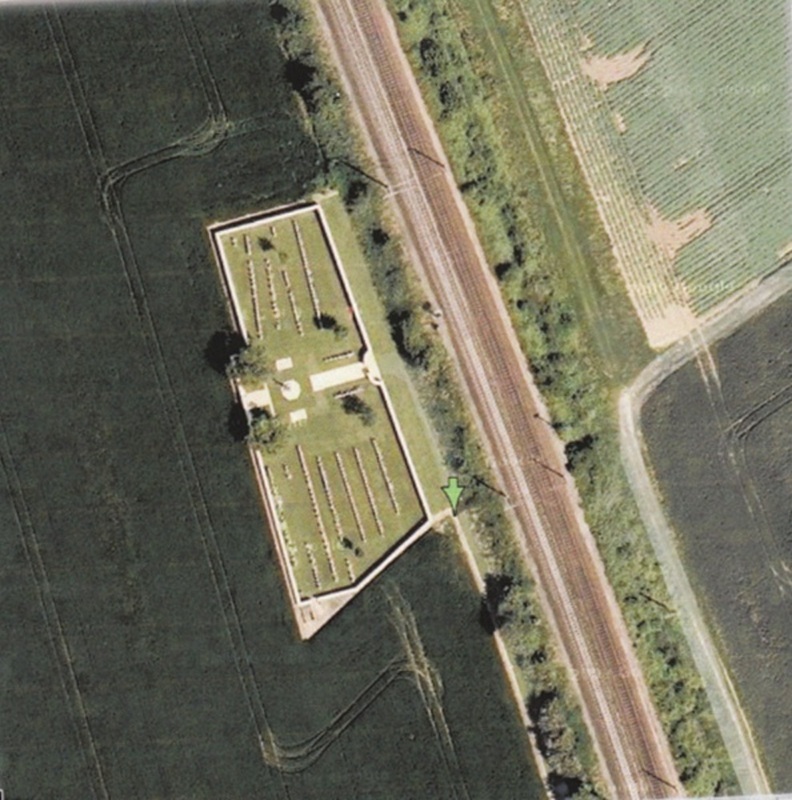 The cemetery was enlarged after the Armistice when graves were brought in from the battlefields of Arras. 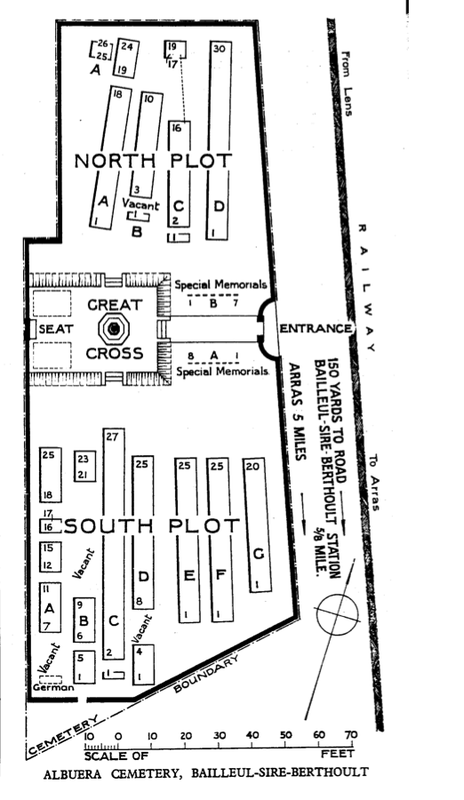 It is divided into two plots, called (exceptionally) North and South. 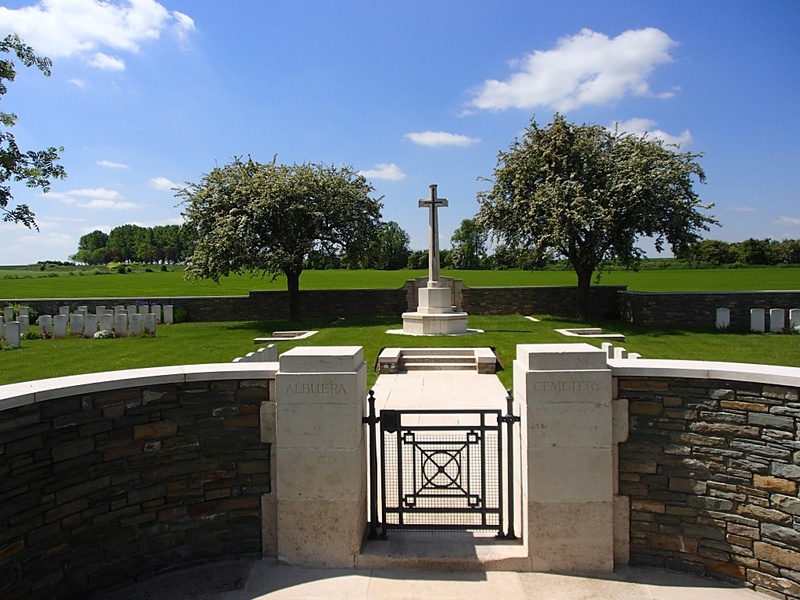 Albuera Cemetery contains 253 Commonwealth burials and commemorations of the First World War. 110 of the burials are unidentified but there are special memorials to 15 casualties known to be buried among them. 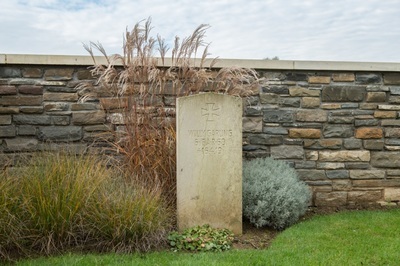 The cemetery also contains one German war grave. 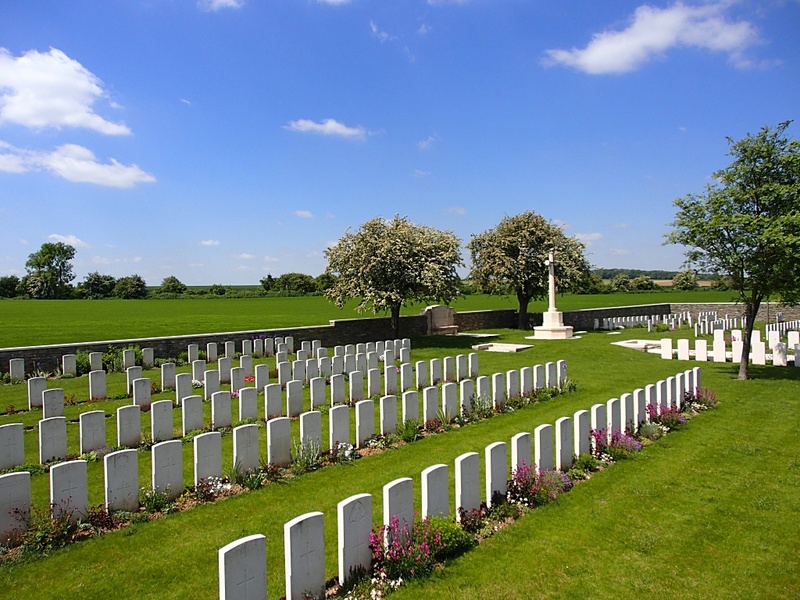 Casualty Details: Commonwealth 253, Germany 1. 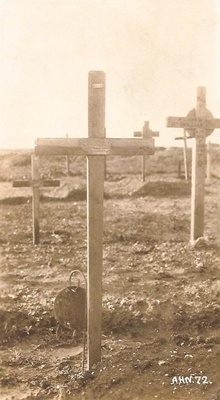 Total Burials: 254. 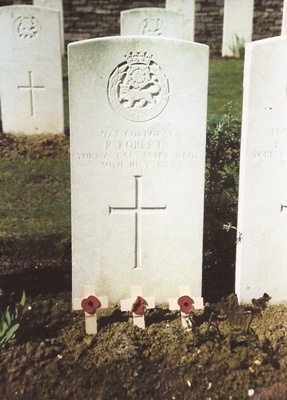 30th June 1917, aged 24.